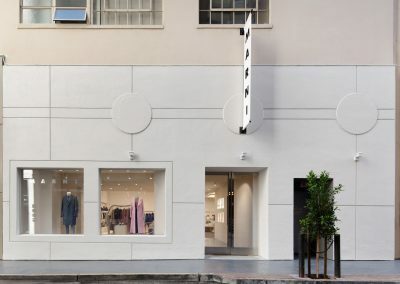 The 5,000-SF Marni shop in San Francisco reads as a colorful study in geometric forms. 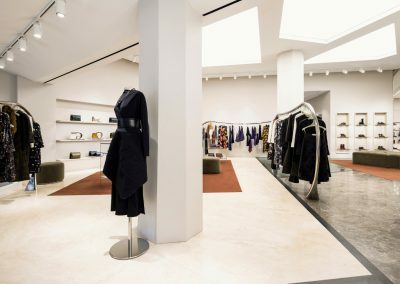 After entering off Maiden Way in the popular Union Square neighborhood, the client is greeted with the full assortment of wares for Women. 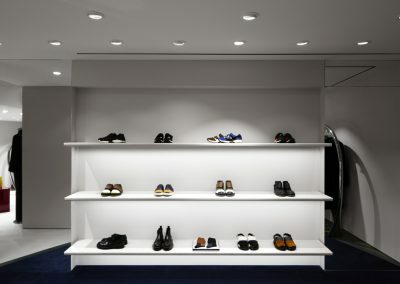 The perimeter casework takes an understated role in a light grey leaving a blank canvas for the brightly colored footwear and accessories. 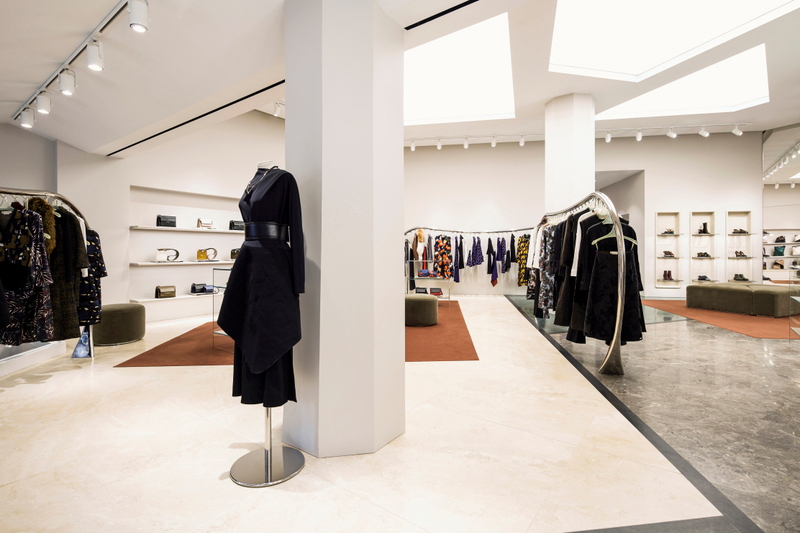 Polished stainless-stee,l ready-to-wear hang rails evoke organic spines as they meander through the gallery-like space. 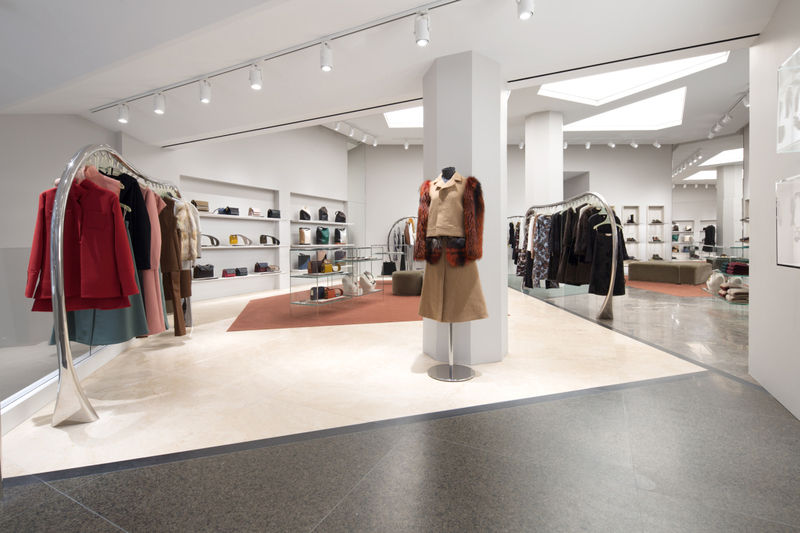 The paving makes a bold statement as regions of five different hued marbles collide with deep umber plush carpeting. 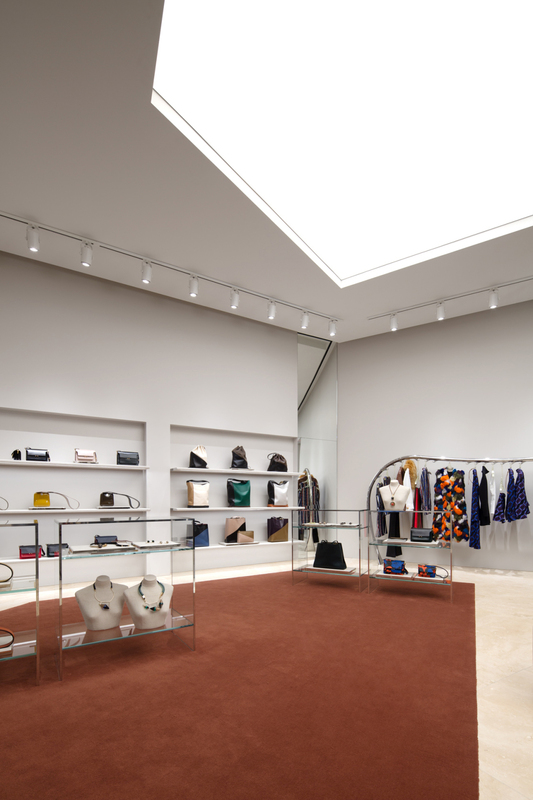 The ground floor ceiling features an LED backlit stretched fabric ceiling in a mosaic of asymmetric parallelograms. 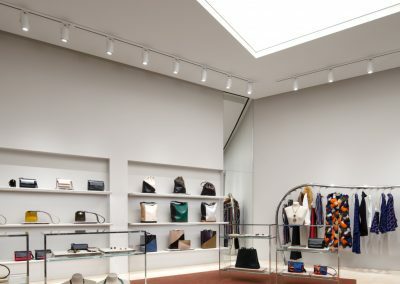 Descending to the Men’s floor via the curved glass and stone stair, one is met with a unique folded plane ceiling reminiscent of origami. 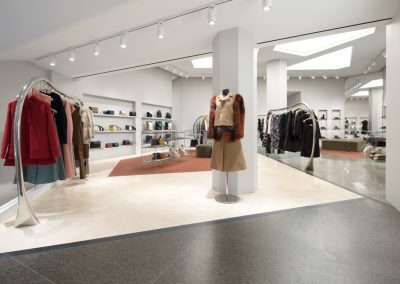 A sea of grey concrete flooring is punctuated with angular shapes in three contrasting marbles and dark blue carpeting. 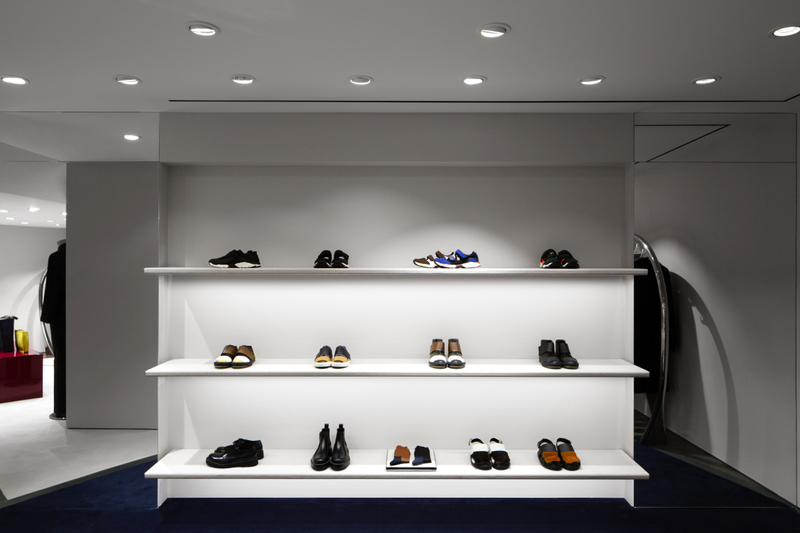 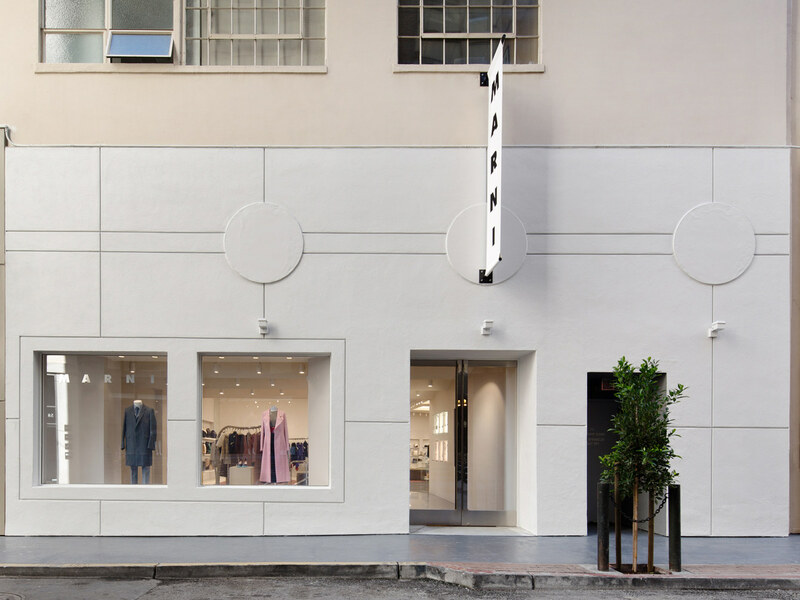 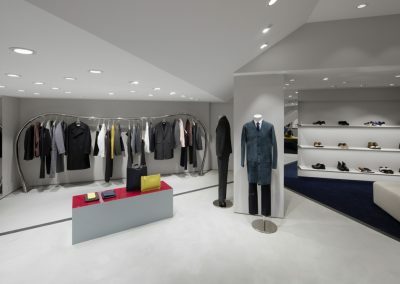 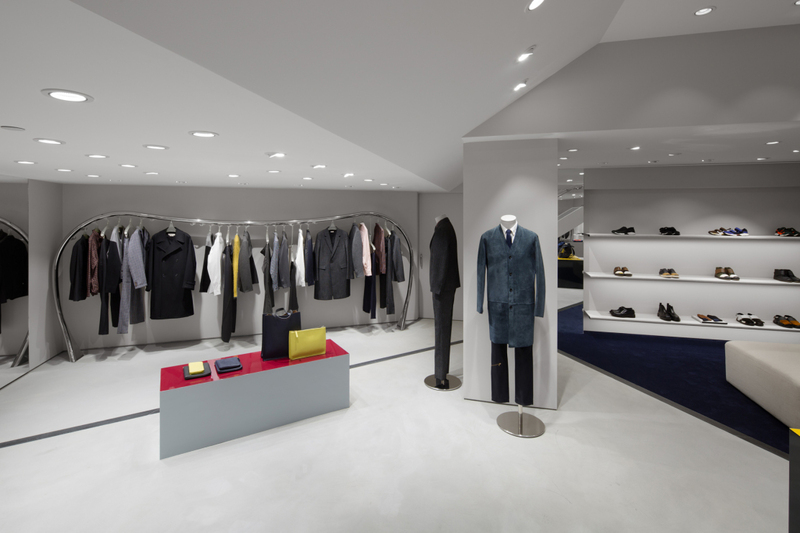 Gruen Associates is also the Architect for an additional boutique in Los Angeles.